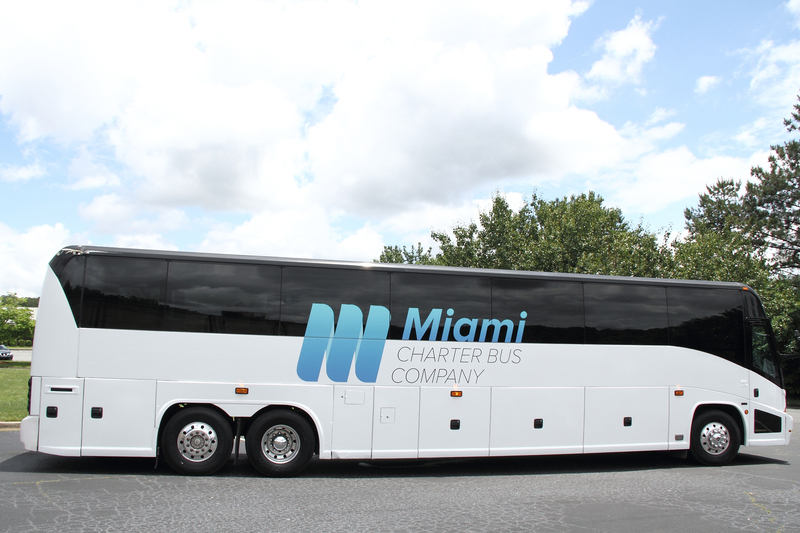 Travel around the Greater Miami area with Miami Charter Bus Company, the premier charter bus, minibus and motorcoach rental company that provides transportation for any event in Florida, including weddings, sports events, conferences, and more. For a limited time, we'll be offering a $50 discount off your first bus rental in Miami. Only one coupon code for customer. May only be redeemed once. Looking for a bus in South Beach? Our choices range from 20-passenger to 56-passenger buses, so whatever your needs, we can get you where you need to go. Need to find transport for your Miami corporate event? Call us for a free, no-obligation quote today to get our most competitive rates.